A modern Dining Table set with a uniquely stylish look. 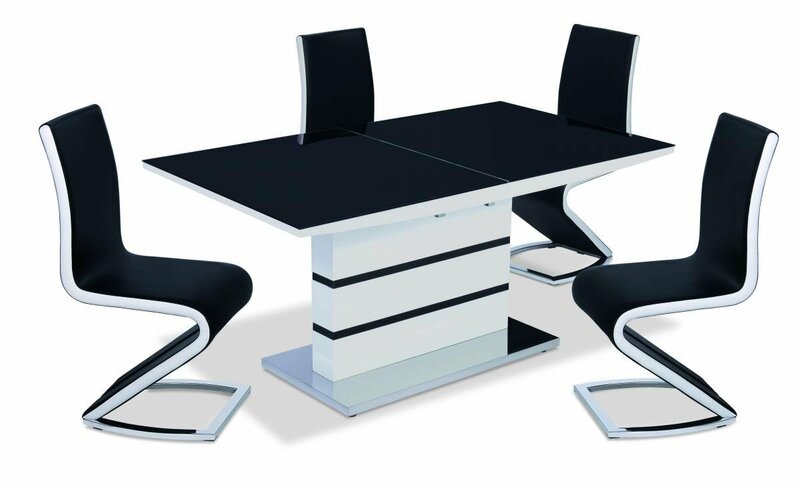 The table is topped with chic, tempered Black Glass, supported by a high gloss frame and Stainless-Steel base. This table is of course functional, but more importantly it is a stunning piece demanding attention. A fantastic centrepiece to any modern Dining Room, this table is sure to get comments. Coming complete with four unique, modern chairs, this set is perfect for a modern home design. The table and chairs are available separately if you just wish for the single items to compliment your rooms modern decor.